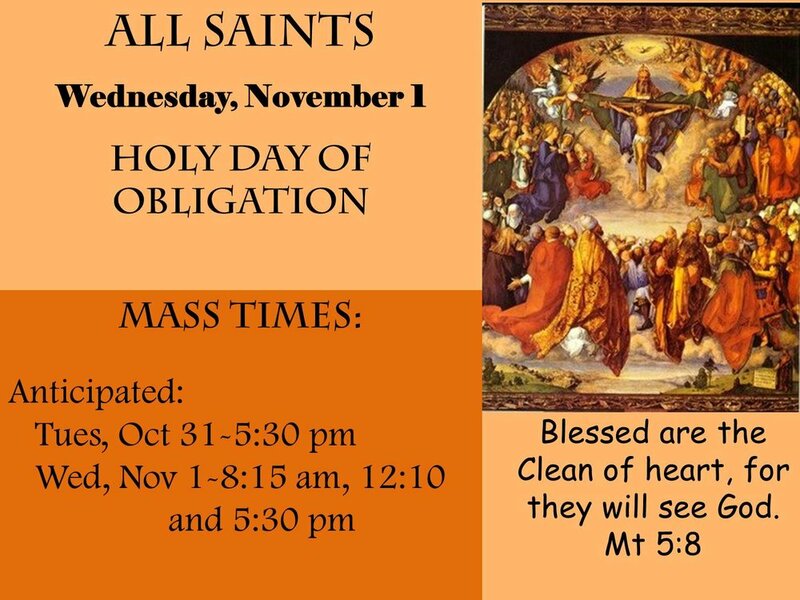 All Saints Day is November 1 and is a Holy Day of Obligation. We remember those who have gone before us and now living with God eternally. We ask them for their intercession to help us live a life worthy of heaven too!